Disclaimer: I received some Buff products to review as part of being a BibRave Pro. Learn more about becoming a BibRave Pro (ambassador), and check out BibRave.com to review find and write race reviews! I’m always seeking my next adventure. This time, it was a family cruise to Mexico. We decided to do something new. We would rent ATV’s and go on a tour of the town. It was very hot and humid. I last minute changed my mind and decided to ride a double with Jim, instead of driving my own. I have driven an ATV before. I thought it would be easier for us to chat along the way. We got instructions on how to drive the ATV’s. Even though we were in a large group of people, there was a guide for every two smaller groups or so. We were handed helmets goggles and handkerchiefs. I had already planned ahead and had a Buff for each of us. I knew that the lightweight material would be better for this sort of excursion than a normal bandana. Buff’s are made to be breathable, multi-functional, moisture wicking, and fast drying. Austin drove his own ATV. He was in the front of the line and had no problem keeping up. Our tour took us through town and out onto dirt roads up and down hills. We first used our Buffs to keep the sun off our necks and then to cover our mouth from the dirt and exhaust from the ATV’s in front of us. After about 40 minutes, we arrived at the top of a mountain where there were restrooms and a restaurant where we ordered lunch. It was a much-needed break. I didn’t bring my swimsuit with me and there was a nice little pool at the restaurant location. I could have had a swim while waiting for my meal. I at least got to put my feet in the cool water, which felt amazing. After lunch, we were given a tequila tasting. I guess Mexicans don’t follow the concept of drinking and driving. At least we didn’t get large amounts of alcohol, just enough to taste the various flavors of tequila that they had for sale. Then we hopped back on our ATV’s and went back down the dirt paths back to where we started. After the tour was over, we returned our helmets and goggles. I then switched my Buff from my neck to hold back my unruly hair. Many of you are probably already familiar with Buff’s for doing sports like running or cycling, but did you know that there are many other types and uses for a Buff? I recently received a Merino Wool Infinity Scarf. I love how it is lightweight and yet, provides that extra layer of warmth. I went on a family cruise. While leaving the port of Long Beach, California, I got chilled. I remembered I had packed my Merino Wool Infitiy Scarf, so I looked for it and put it on. It was exactly the amount of warmth that I needed. I also like the colors on it. I love tye-dye. It has a little bit of a tye-dye on it. I can loop it around my neck once or twice and I can wear it to work or play. Lots of possibilities with this scarf. Disclaimer: I received AfterShokz Trekz Air to review as part of being a BibRave Pro. Learn more about becoming a BibRave Pro (ambassador), and check out BibRave.com to review find and write race reviews! My first experience with the AfterShokz brand was while waiting in my corral for the runDisney Avengers 10K in November 2017. I saw a runner next to me wearing AfterShokz Trekz, so I asked him many questions, which he was more than happy to answer. He also took his headphones off and put them on me for me to listen to the sound quality. At first, I thought, that’s a little weird for a stranger to do that, but then I literally heard the difference in sound. The sound has clear and loud even when I was surrounded by a very loud crowd of people and the announcer was releasing other corrals. At that point, I was sold. Later in March, I had the opportunity through BibRave to receive a pair of the new AfterShokz Trekz Air. I already knew it was a brand I not only enjoyed, but one I personally trust, so I had no objections. I ran the Castaway Cay 5K with my AfterShokz Trekz Air and even though the weather changed to windy and raining, the sound quality did not change. I was still able to hear my music and my headphones stayed put. I like how the AfterShokz are designed to hang right over your ears, so I no longer have the problem I had with hired headphones where I had to keep adjusting them and putting them back in place. Extreme weather conditions test passed. I also ran the Star Wars Dark Side Half Marathon in 2018 in Orlando, FL with my AfterShokz Trekz Air. For me, that race was a test on how long the battery on these headphones would last. I’m nowhere near being a speedy runner, so I wondered if the headphones would die on me. The answer is, no, they didn’t. I turned on the AfterShokz Trekz Air at 3am to keep me awake on the bus ride over to the starting line. I ran 13.1 miles and wore them on the bus ride back to my hotel at 10:30am and they still were working properly. Battery life test passed. I’ve done some dog walking for Wag, which I love! I know to take my AfterShokz Air with me on dog walks, because I know my ear is open and I can hear traffic and pedestrians. I would have never taken my regular headphones with me on walks. It would be so unsafe. Street safety test passed. 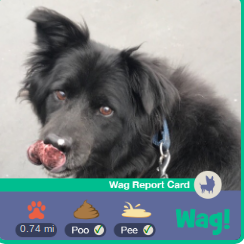 By the way, if you’re interested in getting your first dog walk free with Wag, click on this link. There’s also the cool factor. I get tons of compliments and questions as to what type of headphones they are and do they work. I also answer phone calls with my AfterShokz Trekz Air. Of course, I get the occasional stare like, “why are you talking to yourself?” LOL! With the touch of a button, I can answer a phone call and skip songs. Disclaimer: I received Rudy Rydon Sunglasses to review as part of being a BibRave Pro. Learn more about becoming a BibRave Pro (ambassador), and check out BibRave.com to review find and write race reviews! These were my first pair of sports sunglasses. They arrived in the mail with two lenses: the multilaser orange and transparent. I was getting ready to travel, so I packed my Rudy Rydon Sunglasses. I took them running, on the beach, and site seeing. They performed beautifully. I’ve had other sunglasses that were a cheaper brand that didn’t allow me to see the colors correctly. I remember being in Aruba telling my husband to look at the red shirt when it wasn’t red at all! I realized then that cheap doesn’t always mean good quality. I didn’t have that problem with my Rudy Rydon sunglasses! The colors were sharp and they kept the suns glare out of my eyes. I didn’t have to take them off in order to do anything. It was like they weren’t there. The adjustable temples of the Rudy Rydon sunglasses allowed them to custom fit my face. Most sunglasses have stiff temples that don’t allow you to adjust them. For people who also wear prescription glasses, Rudy Project offers RX-able lenses or an optical adapter. There’s no reason sun protection needs to compromise your vision. On the Rudy Project webpage, you can search by sport. This makes it easy to pick the frames and lenses that will specifically help you in your desired sports activity. I’ve learned so much from looking at these pages. For example, the green lenses are best for golf. I thought the color choices were based on what you liked, I didn’t realize they had a functional purpose. Rudy makes picking the right lenses easy. The documentary Godspeed: Race Across America hits theaters May 22. Make sure to watch it. You can read my movie review here. The Big Bunny 5K was loads of fun. It was my first year doing it. I love themed races, and I wasn’t going to miss out on dressing up as a bunny. My outfit included a bunny shirt from Gone for a Run, FlipBelt Crops, Zensah leg sleeves, BibBoards, and Brooks sneakers. The expo was small with some local companies present. It included a local yoga studio, other local races, and informational booth with kids programs. I picked up my swag on race day. The line was very long. They did have a system in place, but they really needed more people helping out. The shirt was a dark blue with a pocket painted on the shirt. I have to say it was one of the worst race shirts I’ve gotten. This race did include a finishers medal and age group medals. There was a kids race on a smaller course, which was very cute. The course was all through residential streets. They did not close fully those streets and we had to on a couple of occasions tell drivers to turn around. It’s amazing how stubborn people can be. The entire course was flat and some of the homeowners came out to cheer the runners on and wish them a Happy Easter. There was one water station along the way, which was plenty for such a short distance. There were some portapotties at the beginning of the race and none throughout the course. It was a family-friendly event. There were many mom, dad, kids, and grandparents running or walking together. There were raffle prizes at the end. The firefighters were there and encouraged runners as they made their way to the finish line. After the race, there was plenty of green areas for people to sit and recover and wait for the raffle prizes to be called. Kids had some toss games to play with and plenty of space to run around and enjoy the day. A definite repeat for next year. Disclaimer: I received a preview of the movie Godspeed as part of being a BibRave Pro. Learn more about becoming a BibRave Pro (ambassador), and check out BibRave.com to review find and write race reviews! The movie Godspeed: The Race Across America is a documentary of the journey of two cyclists: Brad Cooper and Jerry Schemmel as they face one of the toughest challenges in their lives, cycling across the U.S. The race benefited the creation of an orphanage in Haiti for special need children. This movie hits theaters May 22. If the title of the movie didn’t give you a hint, there are Christian themes present in the movie. There were times where the cyclists were exhausted to the extreme and their crew prayed with them. It’s that faith in a greater power that gets us through the impossible. This was a two-man race. They trusted in one another and knew that each member had something valuable to contribute. There were times where Brad and Jerry disagreed with one another but didn’t fight about it, instead, they trusted that the other had both of their interests at heart and would make the right decision. It’s not worth it to fight and lose a friendship during stressful times. Can you imagine cycling 3,000 Miles? I can’t. It takes some serious determination and grit to get you through to the end. Physical and mental exhaustion were present as they did not have an 8 hour night ever during the race and one point Brad even hallucinates. It was during these very hard times that the cyclists surrendered to their faith and trusted that God would guide them through. I was surprised to see how many people they had in their support crew. Each cyclist had a group of people that were working on logistics, medical, mechanics, coordinating stops, snacks, and more. It was heartwarming to see some of their children in the crew, not only cheering them on but helping them accomplish their goal. It was evident that if time allowed, Jerry would have probably wanted to be more involved in the smaller details of the trip, but with how exhausting the ride, putting nearly 200 miles each a day, they had to trust that their teams were on track and they were working to help them get to the finish line. The crew did make some mistakes, but the demeanor of the cyclists was amazing. They just accepted it and focused on how to resolve the problem. Truly an inspirational movie that is family friendly.